At the turn of the century (the 1890’s that is) the interior of the African continent was largely unknown to the American and European public. Accounts of expeditions there meant Danger! Adventure! Intrigue! Readers thrilled by these stories longed to follow in the footsteps of the great explorers and of course one of the greatest was Henry M. Stanley. 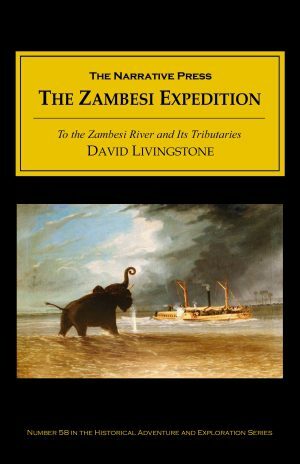 He had already achieved fame from his quest to find Dr. Livingstone, and in 1888 he led an expedition to come to the aid of Mehmed Emin Pasha. 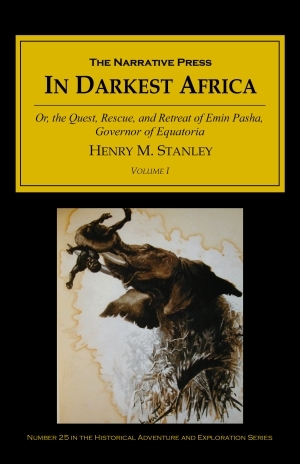 In Darkest Africa is his account of what happened. The Pasha was born Edward Schnitzler in Germany, had assumed the title “Emin Effendi Hakim” (the faithful physician) while employed as a doctor in Khartoum, and had later been appointed the local governor in the southern Sudan. (Confused yet?) He had been forced from Khartoum into retreat to the shores of Lake Albert by a revolt led by the Islamic holy man known as the “Mahdi.” Stanley had met Emin on an earlier expedition, and was felt to be the logical choice to lead this new campaign. Stanley and his men had to contend with disease, desertions, and lack of food, as well as attacks upon them by hostile natives. In an incident that later led to questions about Stanley’s judgment, he left a detachment of men at Yambuya to await the arrival of a promised 600 porters with orders for them to rejoin the main party. They never did, and he is careful to document his version of the affair in this book. …The fables that have been woven about it; its relation to the dear old Nile…the Nile of the Pharaohs, of Joseph, Moses, and the Prophets; its being the source whence so many springs of the Nile issue — its being the creator of the “Sea of Darkness,” Lake Albert Edward, from whose bosom the Semliki — Nile to the West, and the infant Kafur to the East — emerge…the very mountain before whose shrine Alexander and Caesar would have worshipped — if the poets may be believed; its rare appearance out of the night-black clouds; its sudden and mysterious apparition…its quaint title — the Mountains of the Moon, so often sought in vain; its massive and rugged grandeur, and immense altitude: all these explain why Ruwenzori demands more than a brief notice. 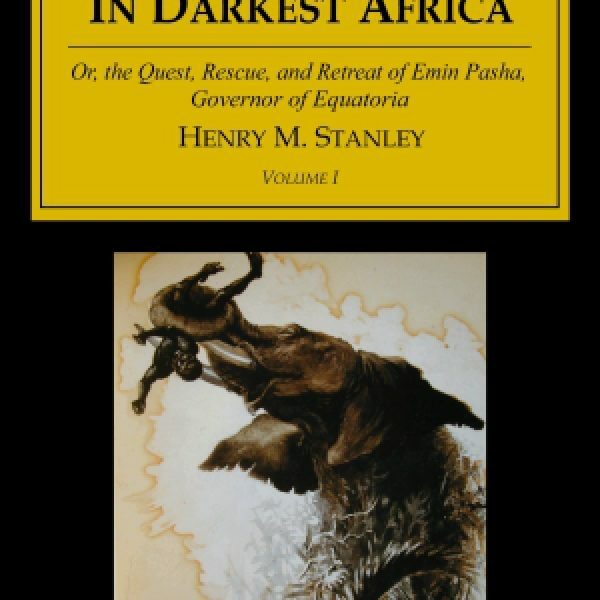 This is an extremely important book for all those interested in the history of Africa, both for its descriptions of indigenous peoples and terrain and for what it reveals about the imperialist attitudes that shaped the course of events. And not to be entirely irreverent, but if you visit Stanley’s grave site in England, you’ll notice that his is a giant stone, surrounded, it seems, by pygmy stones. We think that Sir Henry Morton Stanley would find this a fitting tribute to his stature.